Leah photographs her friends (and herself) having a great time. Those photos, especially the ones many people would just discard or delete, she immortalizes in her paintings. She was 9 months pregnant at the time. We set up a party in her studio space. Brian is zany. And I don’t think he would mind that description. Through his actions and his art, he really makes you think outside the box. I photographed him in his home and his studio. 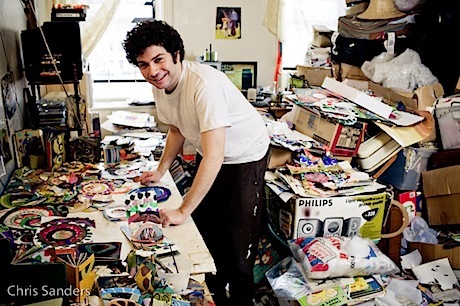 His studio is filled with piles and piles of “reference material.” Objects that he has found or purchased that will one day be incorporated into his work. It was hard to navigate through the piles. He’s also a performance artist. I had heard that he liked to set himself on fire. I ask him if that was true and he set himself on fire for a photo. That image is on my website in the portrait section. Brendan is the guy with the florescent paint! He is a very thoughtful man and produces these huge canvas with brilliant color. His inspiration comes from these postcards that he collects. The studio itself has windows on two sides with tons of sunlight. 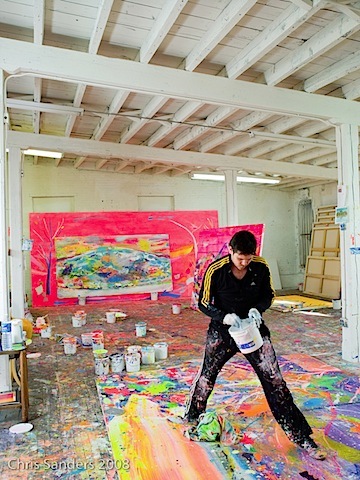 The floor of his space is also littered with the excess paint. Would be a great place to throw a black light party. 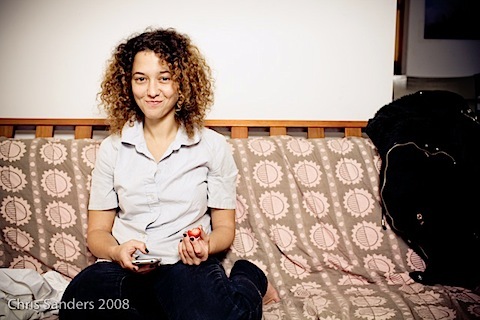 Mika Rottenberg at her apartment. I usually photograph artists in their working environment but she was in-between projects so I didn’t want to miss an opportunity to meet her.